UPDATED: Florida mother Susan Schrivjer's campaign has achieved its aim. Update: 22 October, 08:31 BST: The dolls have been removed from the shelves. The store told the Associated Press that the dolls are now to be pulled, telling the news agency: "Let's just say, the action figures have taken an indefinite sabbatical." 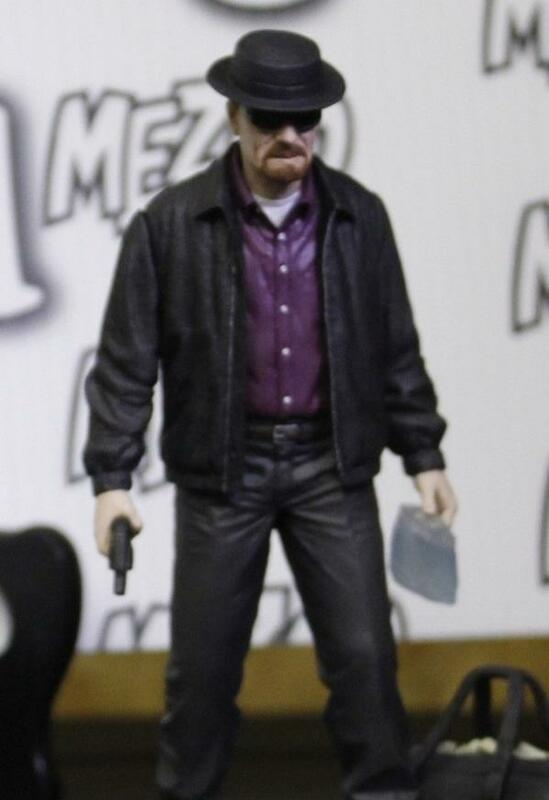 Yes, here are those Breaking Bad action figures you were after, on sale at family toy store Toys "R" Us. You can get a version of this one with a bag of meth! And would you believe, it has caused a tiny bit of controversy. Yep, here's that online petition you were after, too. Anything to do with drugs is not doing the right thing. I just think that they need to look at their visions and values, as they call them. But one man appears to be unconcerned. The product packaging clearly notes that the items are intended for ages 15 and up, and are located in the adult action figure area of our stores. So there you have it. If you want to buy your 15-year-old a meth-dealing, murderous ex-chemistry teacher, you know where to go.